We work with a variety of industries, including pharmaceutical, biotechnology, medical, life sciences, food industries and many more. 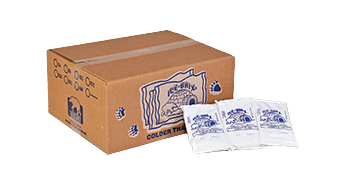 For temperature sensitive shipping, you can trust Cedarlane Shipping Supplies to have the shipping and packaging products you need to keep your items safe, secure and at the right temperature. No matter what industry you’re in, and whether you’re shipping items across a small distance or across the world, we have the insulated shipping containers you’ll need for your temperature-sensitive items. 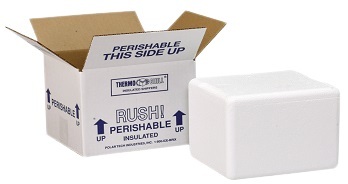 From styrofoam shipping coolers to qualified shipping kits, we’ve got your cold chain shipping needs covered. If you have questions about which insulated shipping containers are right for you, feel free to contact us today! Pre-Qualified shipping solutions have been tested, proven and are ready to go. Cedarlane Shipping Supplies offers a wide selection of Pre-Qualified shipping solutions. We have every temperature range, duration and payload size covered so no matter what your shipping requirements are, we have a solution to fit your needs and budget. Whether you need to ship food, medical supplies or anything else perishable, we can help you find affordable temperature sensitive solutions. 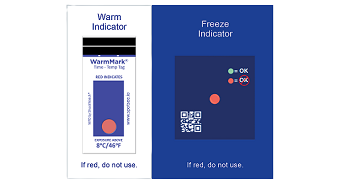 We can help you monitor your packages’ temperature through warm mark and cold mark indicators, as well as temperature data loggers. 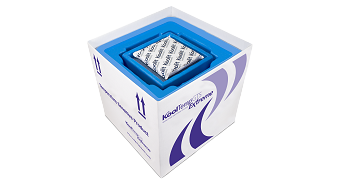 Our gel packs and ice packs, coupled with our foam coolers are perfect for keeping your shipments cold; we carry a variety to suit many applications, including biodegradable gel packs and leak proof cold packs. We also offer cryo handling products and even more. If you have questions about which ice packs or temperature monitors are best for your shipping situation, or if you have other questions or concerns about our insulated shipping boxes, pre-qualified shippers or any other product or service we offer, please don’t hesitate to contact us today for fast, friendly and knowledge customer service.